Welcome to the United Kingdom Rescue Organisation Academy. 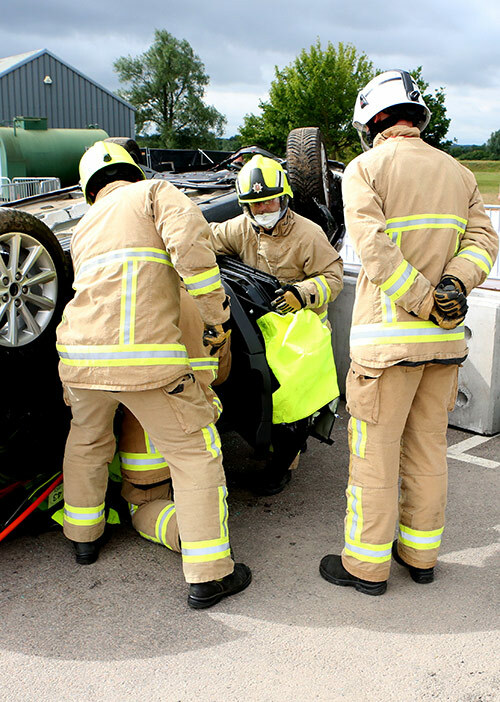 The U.K.R.O’s determination to Advance Professional Rescue within the UK Fire and Rescue Service has led to the development of this eLearning Portal. developed by a team of Fire and Rescue Service and medical professionals, all experts in their respective areas. standards set by the UK Fire and rRescue Service when performing rescues. The Portal hosts an increasing number of modules, each one focusing on a particular subject. But please take into consideration that the staged simulations may not reflect the same requirements as a real incident and that the terminology and information provided in the modules may differ to that of your own organisation. It is therefore vital that you check your Standard Operating Procedures before implementing any of the techniques or procedures illustrated in the modules. The modules can be completed at your own pace with your learning records maintained automatically within the pPortal, which can be viewed at any time. Nothing is designed to catch you out, and watching the videos will deliver the answers you need to complete the accompanying question sessions. At the end of each module you will need to click the next button and when completed you will be returned to the menu. There are a number of links and downloadable documents available on the Portal. These are there to provide you with further information and offer a guide to some practical scenarios that can be used to confirm your understanding.